Emmy Award-winning filmmaker and journalist John Sharify has created an hour-long documentary chronicling MOR’s journey, which had its premiere screening at Seattle’s Frye Art Museum on October 14, 2018. 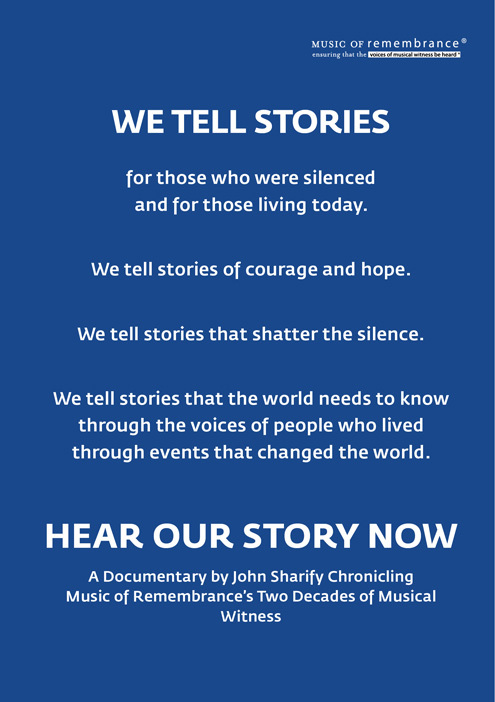 You can have your own DVD of this inspiring film to watch and share with others – about MOR's story and mission, a mission of musical witness for over 20 years. DVD available to purchase here or by calling 206-365-7770.